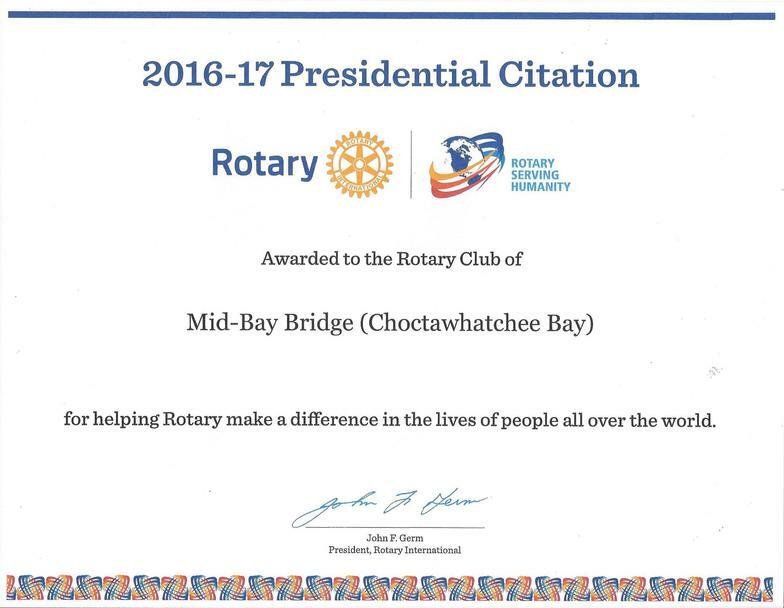 ​The Rotary Club of Mid-Bay Bridge Choctawhatchee Bay was chartered June 29, 1993. 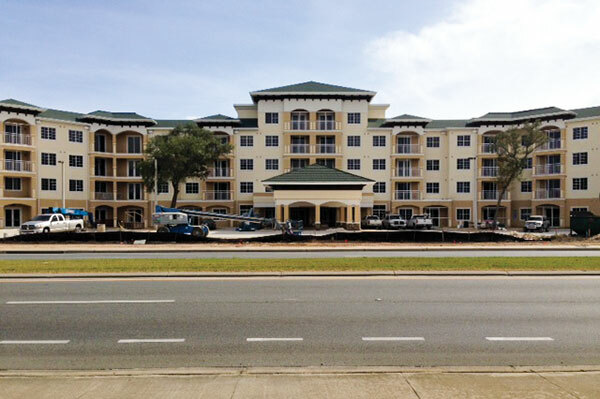 Since that time, Mid-Bay has established itself in the Niceveille, Valparaiso, and Bluewater Bay communities. Its annual Oktoberfest, held at the Marketplace at Bluewater Bay, and its annual Charity Golf Tournament held at the Bluewater Bay Golf Course, are events the community looks forward to each year. 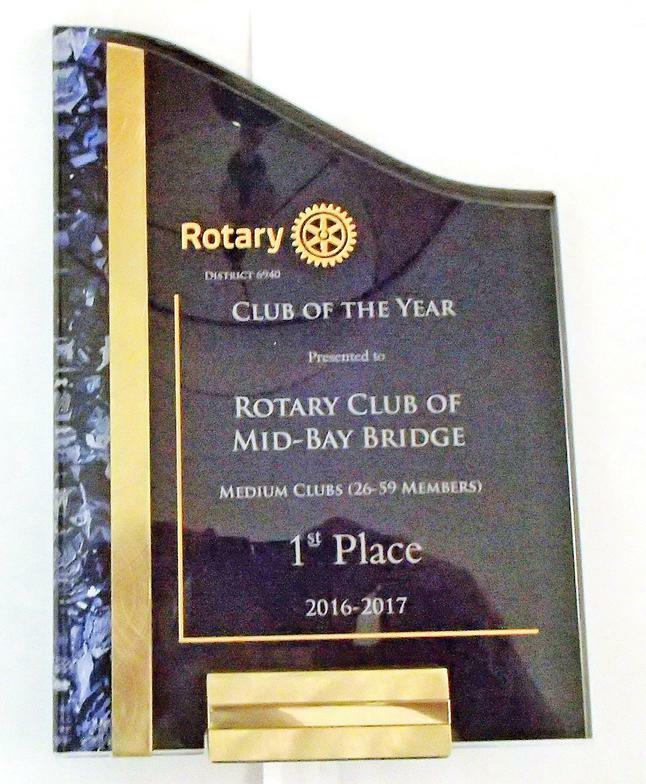 Mid-Bay has received the Rotary International President's Citation multiple times, and most recently several District 6940 Governor's Awards. The Mid Bay Rotary Club consistently outperforms donations to ShelterBox by exceeding the requirements for “Hero” status (minimum $5,000.00 per year) every year that program has been in existence by a factor of at least double. We recently reached $161,000.00+ which leads all Rotary clubs in the United States. Interested in becoming a Rotarian? Our Membership Chair will address your questions. Please visit any meeting to learn more.